Free Malaysia Today – Hardik Pandya said that India’s victory over England could be a precursor of better things to come in future matches. Hardik Pandya said that India’s victory over England could be a precursor of better things to come in future matches. 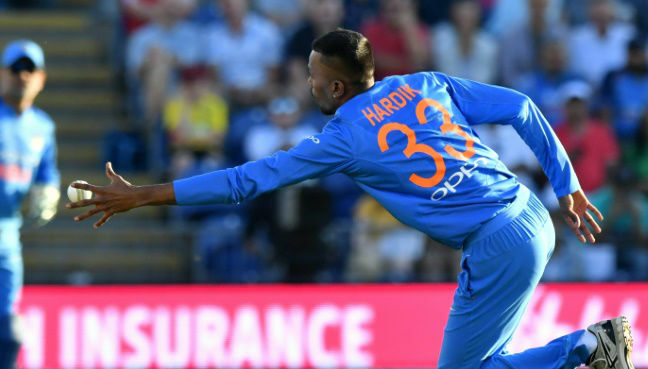 BRISTOL: Indian all-rounder Hardik Pandya says his team’s win in the T20 international series against England is a stepping stone for the upcoming 50-over series. England had got off to a strong start, reaching 43 off four overs and 118 for two of 10 overs before being reeled in by the Indian bowlers and posting a total that was 20 or 30 runs short. Root has been struggling for form in the T20 game, making zero and nine in his previous two innings, but captain Eoin Morgan said he will back for the one-day game at Trent Bridge.